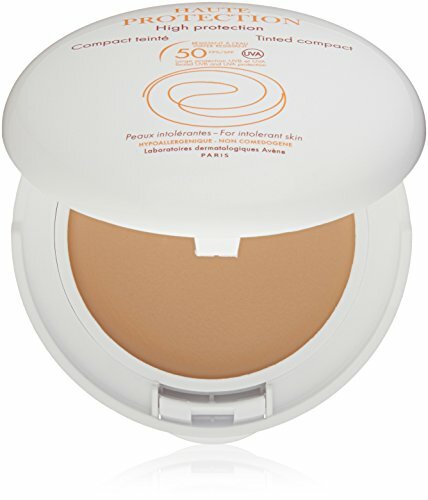 The Avene tinted compact with SPF 50 is compact makeup that simultaneously provides light coverage and non-irritating UVA/UVB protection.Water-resistant up to 40 minutes. The mineral formulation is non-irritating and sensitive skin types. Supergoop! SPF 50 Defense Refresh Setting Mist Sunscreen,1 fl.oz.